When one of your best friends from college has spent most of her life in the intervening years in various countries halfway around the globe, the bad part is that you hardly ever get to see her. As the saying goes, when life gives you vanilla beans, uh, make every dessert a bit more awesome? I’ve been slicing them in half and tossing them in whenever I melt or brown butter for any sweet baking project. I’ve infused them in cream to make ice cream, semifreddo, or just simple whipped cream. I use them in my favorite granola. After a bean has been scraped of its seeds, I toss it in with some sugar which takes on a lovely vanilla fragrance. But this is the most dead simple way I’ve used them yet. 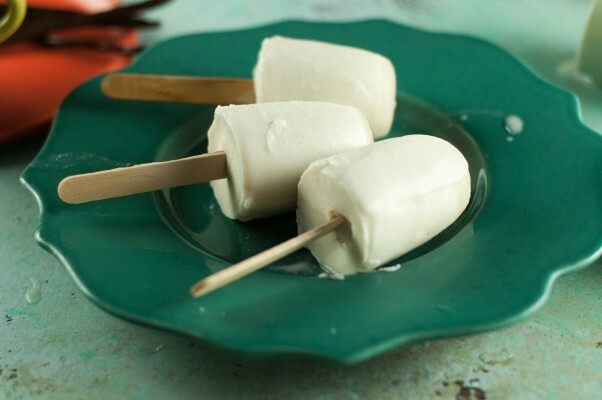 These vanilla bean coconut popsicles take about five minutes of active time to make. 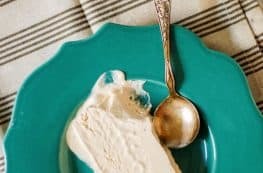 They’re rich and creamy and coconutty and they really show off the lovely vanilla bean flavor. You split a vanilla bean, add it to a saucepan with some coconut milk and a little bit of sugar and heat until the sugar dissolves. Then you put a lid on it and let it steep for an hour (or longer if you have the time). Then you pull out the vanilla bean and pour the mixture into molds of your choice and freeze. These babies are quite rich, so I like them best smaller than most popsicle molds. 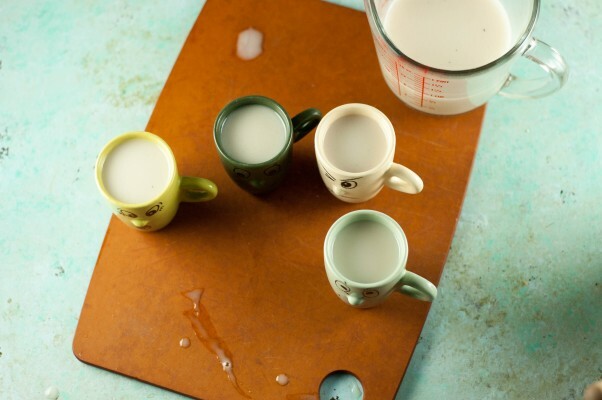 I used espresso cups as molds here, but you could also use tall shot glasses or dixie cups or any little, narrow-ish, relatively straight-sided vessels you have around. 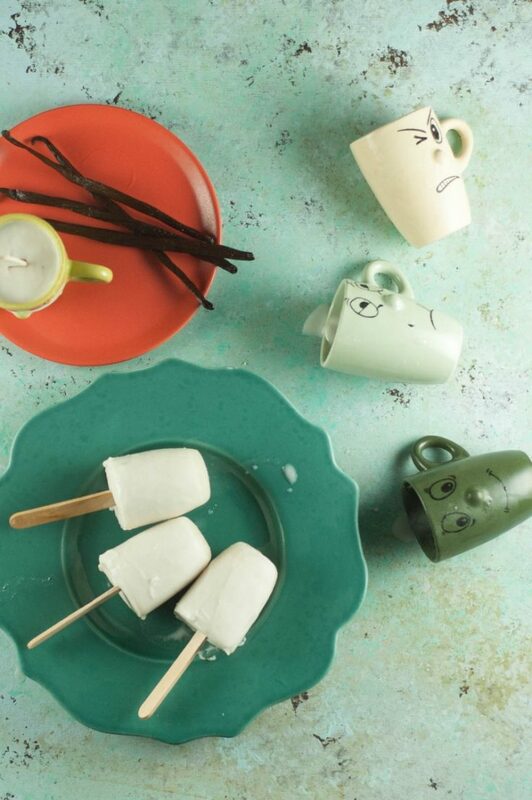 You could also, of course, eschew moderation and use regular-sized popsicle molds. 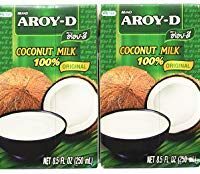 I made them with frozen coconut milk that I happened to have on hand, but they work just as well with canned or boxed coconut milk (I especially like these little boxes of Aroy-D). 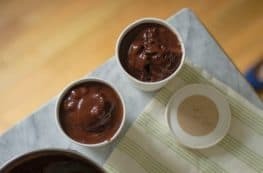 These are naturally dairy free and they’re also quite low in sugar, which is a nice bonus for a dessert that feels so decadent. The combination of coconut and vanilla feels at once familiar and exotic. 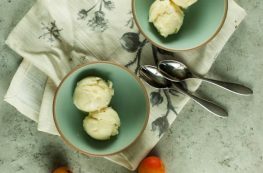 It’s not quite the straightforward coconut flavor of a coconut sorbet and it’s not quite a typical vanilla ice cream flavor either, but it’s a combination that really works. 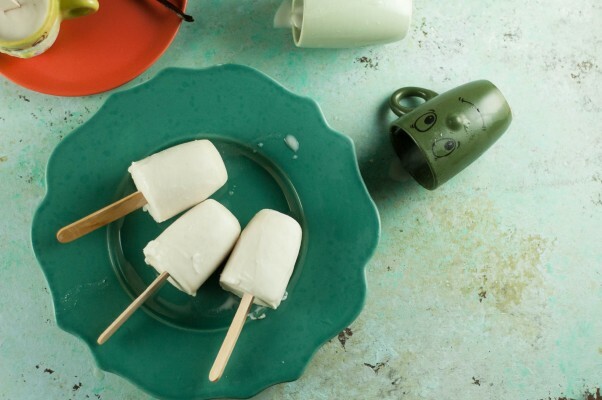 These simple ice pops highlight the flavors of coconut and vanilla bean (coconut haters, these aren’t for you). 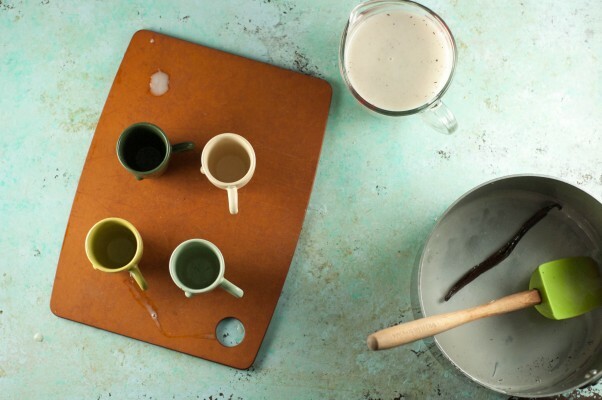 They take about five minutes of active time to make, along with an hour of steeping time and at least four hours of freezing, so plan accordingly. They’re naturally dairy free and gluten free and they’re low in sugar. If you aren’t lucky enough to have a friend who sends you vanilla beans and find the price too dear, feel free to substitute 1/2 teaspoon of vanilla extract for the vanilla bean. 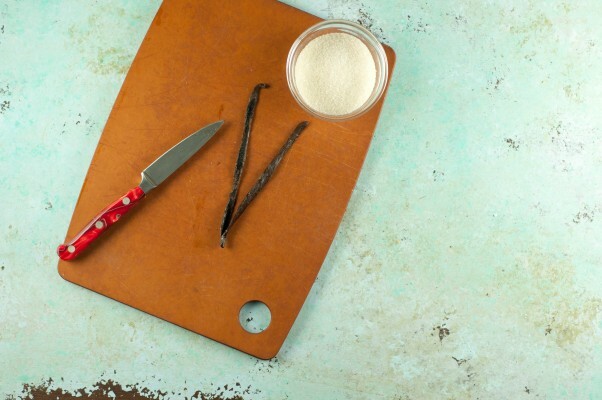 The flavor won’t be as complex and you’ll miss out on the lovely vanilla bean flecks, but they’ll still be good. 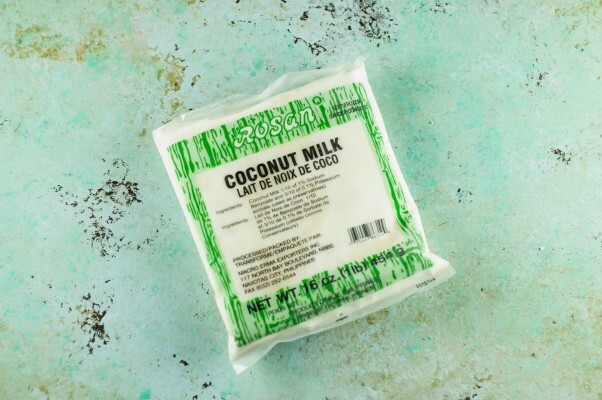 Don’t substitute light or low-fat coconut milk here–the results will be unpleasantly icy and lacking in the richness that makes these so good. In a medium saucepan, add the coconut, vanilla bean and scraped seeds, sugar and salt. Heat over medium heat, stirring occasionally, until the sugar has dissolved. 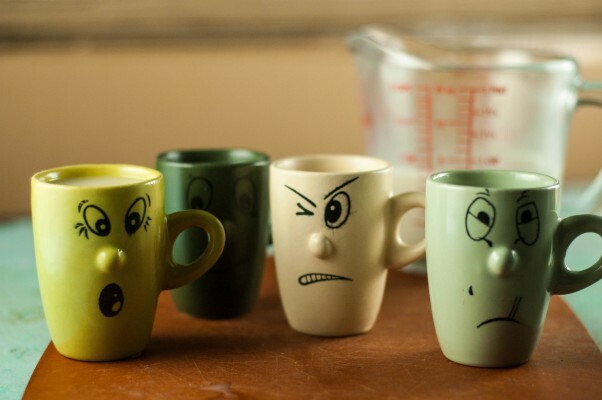 Don’t bring to a boil. Remove from heat, cover, and let steep for at least an hour. 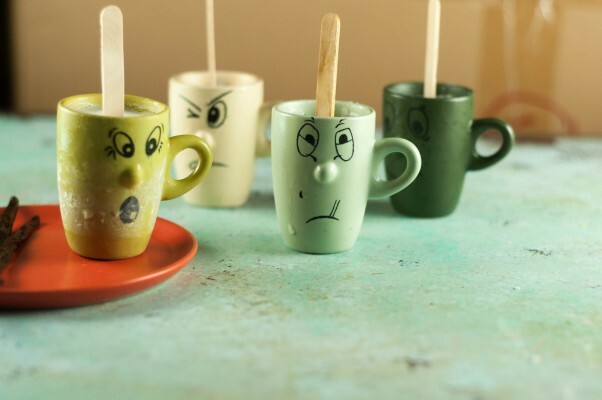 Remove the vanilla bean from the mixture, transfer the mixture to a liquid measuring cup or a similar container with a pouring spout, give the mixture a stir, and pour into molds (espresso cups, tall shot glasses, dixie cups, popsicle molds) and freeze for at least 4 hours. About an hour and a half into freezing, when the mixture has thickened enough to hold them up without tipping over, add the popsicle sticks. Run the molds under warm water for a few seconds to remove the popsicles. 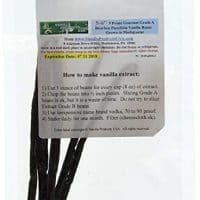 Vanilla Products USA 5 NON-GMO Grade A Prime Gourmet Bourbon Madagascar Vanilla Beans 5~6"